Pope Francis entrusts to a specific Section of the Congregation for the Doctrine of the Faith, the task incumbent, since 1988, on the Ecclesia Dei Pontifical Commission, charged by Saint John Paul II to dialogue with the Lefebvrerist Saint Pius X Fraternity, which brings together some 150,000 faithful and 650 priests in 70 countries. The suppression of the Commission was also desired by the Congregation for the Doctrine of the Faith and, according to the Italian media, by the Saint Pius X Fraternity. To be noted also is the spiritual meaning of the publication at the height of the Week of Prayer for Christian Unity. The Editorial Director of the Vatican’s Dicastery for Communication suggests certain landmarks to understand Pope Francis’ decision, taking into account the reform of the Roman Curia, marked, notably, by the regrouping of competencies and a simplification of processes, and of the election of new officials at the head of the Fraternity. The reform, in this connection, began with Benedict XVI, who moved the liturgical question to a doctrinal question: the Commission was already under the responsibility of this Dicastery. The passage of competencies of the Commission to a Section of the Congregation corresponds, therefore, to a “normalization” of the doctrinal dialogue between the Roman Catholic Church and the Saint Pius X Fraternity. Tornielli writes in Vatican News that, on one hand, it’s the end of an “exception.” The Pope recalls that the exceptional character — which led Saint John Paul II to institute it in 1988, after the rupture with Archbishop Marcel Lefebvre and the episcopal Ordinations that took place without a pontifical mandate– is attenuated. However, Benedict XVI, to whom the Motu Proprio renders homage, addressed the spiritual and liturgical question. <It’s> “an urgency that no longer exists thanks also to Benedict XVI’s decision to liberalize the usage of the 1962 Roman Missal (promulgated by Saint John XXIII before the beginning of the Council).” comments Tornielli. In his Motu Proprio Summorum Pontificum of July 2007, Pope Benedict in fact authorized the celebration of the Tridentine Liturgy as it was in force after Saint John XXIII’s reforms in 1962 (Cf. The Instruction of Ecclesia Dei for its implementation). That’s why “all the functions” of the Pontifical Commission are now “transferred to the new Section” of the Congregation for the Doctrine of the Faith, but without loss of competencies or of memory because it “will lean on the personnel in service present up to the present in the heart of the Commission,” adds Tornielli. Tornielli recalls another important stage of the dialogue between the Holy See and the Saint Pius X Priestly Fraternity, founded by Monsignor Marcel Lefebvre: “the lifting of the excommunication of Bishops ordained illegitimately in 1988.” It was, in fact, by the decree 10 years ago of the Congregation for Bishops, of January 21, 2009. A new step forward after the “free usage of the 1962 Roman Missal,” which was accorded in 2007. Pope Francis himself has taken a new step, for pastoral reasons, with “the faculties accorded to priests” of the Saint Pius X “Fraternity,” stresses Tornielli. In this connection, we recall that in the framework of the Extraordinary Jubilee of Mercy, the Pope agreed to the possibility of receiving validly absolution and indulgence of faithful frequenting churches of which priests of Saint Pius X are Pastors. “Those that, in the course of the Holy Year of Mercy, approach priests of the Saint Pius X Fraternity to celebrate the Sacrament of Reconciliation, will receive a valid and licit absolution of their sins,” said Pope Francis in his letter on Indulgence on the occasion of this Jubilee, on September 1, 2015. A disposition prolonged then by Pope Francis in his Letter Misericordia et Misera, at the conclusion of the Jubilee, on November 20, 2016. “For the pastoral good of these faithful and counting on the good will of their priests so that full communion in the Catholic Church can be restored with God’s help, I establish by my own decision to extend this faculty beyond the Jubilee period, until new dispositions are taken, so that the sacramental sign of reconciliation through the Church’s pardon, is never lacking to anyone. Pope Francis’ third pastoral decision on April 4, 2017, concerned marriages. He accorded to priests of the Saint Pius X Fraternity the faculty to celebrate marriages validly, when there is no other priest who can receive the consent of the married couples. He also points out the change made at the head of the Saint Pius X Fraternity: it is, in fact, an Italian, Abbot Davide Pagliarani, who was elected in July of 2018, replacing Swiss Monsignor Bernard Fellay, who finished his second mandate as Superior General during the Fraternity’s 4th General Chapter. It’s a 12-year mandate. Monsignor Alfonso de Galarreta Genua, is his first Assistant and Abbot Christian Bouchacourt his General Counsellor. 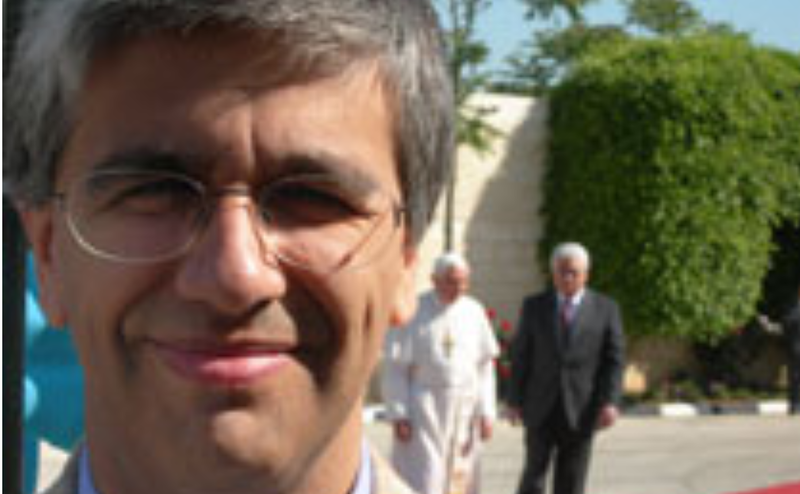 Italian Monsignor Davide Pagliarani, 48, has been in charge of Our Lady Co-Redemptrix Seminary of La Reja, in Argentina, since 2012. Monsignor Fellay ordained him priest in 1996. He carried out his apostolate at Rimnini, Italy, then in Singapore before being appointed Superior of the Italian District from 2006 to 2012. He met the future Pope Francis, Archbishop of Buenos Aires, Cardinal Jorge Mario Bergoglio. Monsignor Lefebvre ordained Monsignor de Galaretta, 62, priest at Buenos Aires in 1980, who was born in Spain and emigrated to Argentina. He was ordained Bishop on June 30, 1988, without pontifical consent. Benedict XVI lifted his excommunication in 2009. He was Superior of the Latin American District from 1985 to 1988. French Abbot Christian Bouchacourt, 59, native of Strasbourg, was appointed Superior of the French District of the Fraternity in 2014 for a six-year mandate. He was Superior of the South American District from 2003 to 2014. He also met Monsignor Bergoglio.